Condition: Hardcover, full leather. Firmly bound, good. Slight darkening of the spine. 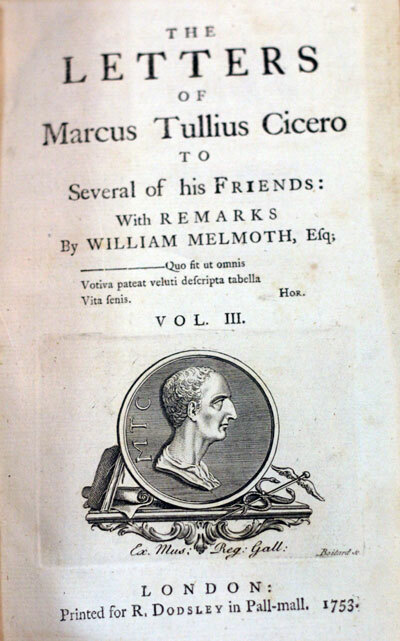 Marcus Tullius Cicero (3 January 106 BC – 7 December 43 BC); was a Roman philosopher, statesman, lawyer, orator, political theorist, consul and constitutionalist. He came from a wealthy municipal family of the equestrian order, and is widely considered one of Rome’s greatest orators and prose stylists. 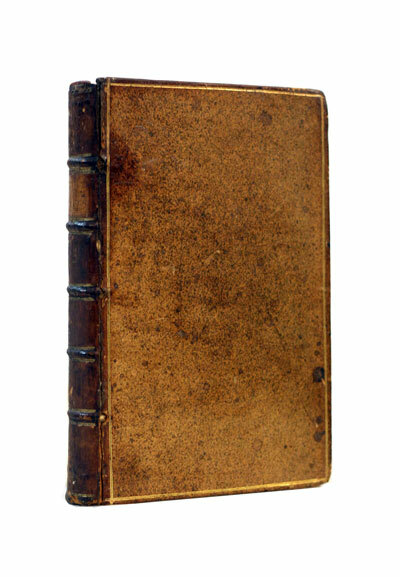 Petrarch’s rediscovery of Cicero’s letters is often credited for initiating the 14th-century Renaissance. According to Polish historian Tadeusz Zieliński, “Renaissance was above all things a revival of Cicero, and only after him and through him of the rest of Classical antiquity.” The peak of Cicero’s authority and prestige came during the eighteenth-century Enlightenment, and his impact on leading Enlightenment thinkers such as John Locke, David Hume, and Montesquieu was substantial. His works rank among the most influential in European culture, and today still constitute one of the most important bodies of primary material for the writing and revision of Roman history, especially the last days of the Roman Republic.